Explore Talent summarizes the netizens sentiments of the Oscar 2014 nominations. 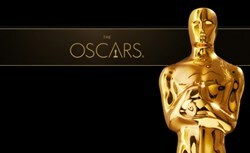 The long-awaited nominations for the 2014 Oscars were finally announced yesterday. Many predicted favorites came through, with a few surprising nominations and omissions as well. The leader in nominations was “American Hustle.” It was nominated in 10 categories. “12 Years a Slave” and “Gravity” tied for second with nine each. The Lead Actor nominees leaned toward the younger candidates, with Christian Bale, ChiwetelEjiofor, Matthew McConaughey, and Leonardo DiCaprio. The only exception being 77-year-old Bruce Dern. The age range is wider for the Lead Actress category, with Amy Adams, Cate Blanchett, Judi Dench, Meryl Streep, and Sandra Bullock. Congrats to all of these individuals. After years of acting auditions and less glamorous acting jobs, their efforts have paid off! The Best Picture Nominations turned out mostly as expected. They are “12 Years a Slave,” “American Hustle,” “Gravity,” “Nebraska,” “The Wolf of Wall Street,” (with each of their directors being nominated in their category as well), “Captain Phillips,” “Dallas Buyers Club,” “Her,” and “Philomena.” The list is diverse and varied with huge blockbusters and indie gems, indicating that 2013 was a great year for movies. The LA Times makes some interesting observations about the prevailing trends of Academy recognition, suggesting that the films that were most honored from last year tended to blend classic storytelling elements with modern and groundbreaking narrative elements. There is much speculation about how much these factors will sway the final results. Some say this marks a new direction that the Academy will take in choosing winners, that conventional storytelling will not be enough anymore and modern effects and/or contemporary social themes will be necessary for filmmakers to carry the day at the Oscars. However the results come out, it is a fantastic batch of films and filmmakers to choose from this year. The movies were all enjoyable, and the awards show is shaping up to be the same. Follow Explore Talent via Twitter here.